Teachers participating in our Watershed Action or Storm Drain Rangers Programs are eligible to enroll in our Academic Credit For Teachers program. 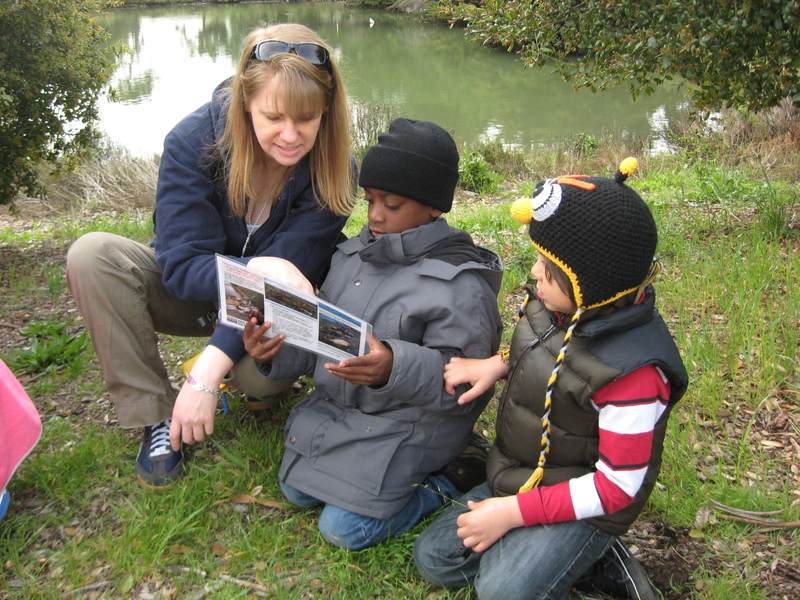 Teachers can earn up to eight Continuing Education Units (CEU) provided by California State University East Bay in our Watershed Action Program and up to five CEU in our Storm Drain Rangers Program. Teachers have the opportunity to earn required continuing education units while learning to teach a hands-on environmental science program. All Classroom Lessons, Field Trips and Action Projects will be modeled for teachers by a KIDS for the BAY Instuctor, with their students, in the classroom and in the field. A curriculum guide, an equipment kit and one-on-one support are provided to teachers to help them continue teaching the program themselves after their year of training with KftB. Teachers will complete activities with their students as well as written assignments and projects to receive academic credit.